A mouth full of fresh vietnamese herbs and salads with a combination of sugarcane prawn, spring rolls and BBQ mince pork (nem nuong), mixed in with a yummy garlic fish sauce! Rolls Vietnam North Sydney in store promotion: ‘Lunch is on us’ campaign where FREE regular size pork and chicken Banh mi rolls will be given away! between 11am-3pm. 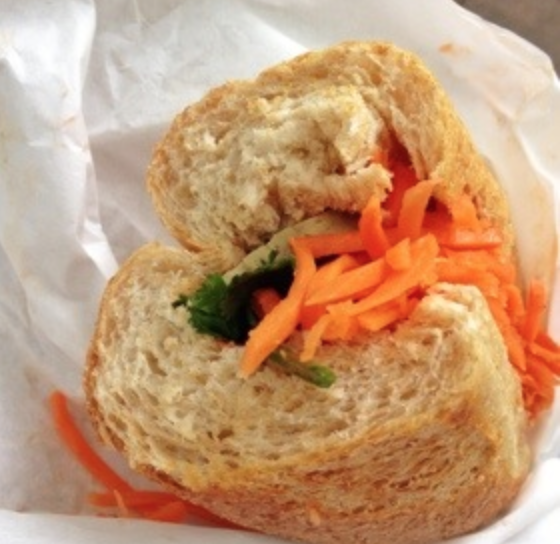 Like ‘Rolls Vietnam’ on Facebook to get your FREE Banh mi reminder- no need to pack left overs guys, lunch is on us. We were voted by our lovely customers against some great food outlets and became a finalist in the Sydney Business Awards in 2012. We didn't win in the overall category but we are happy with what we achieved in only 11 months of operating. We thank everyone for their support and we'll try again this year!